Bremerton Police served a search warrant at this home on the 1300 block of Rainier Avenue this morning. 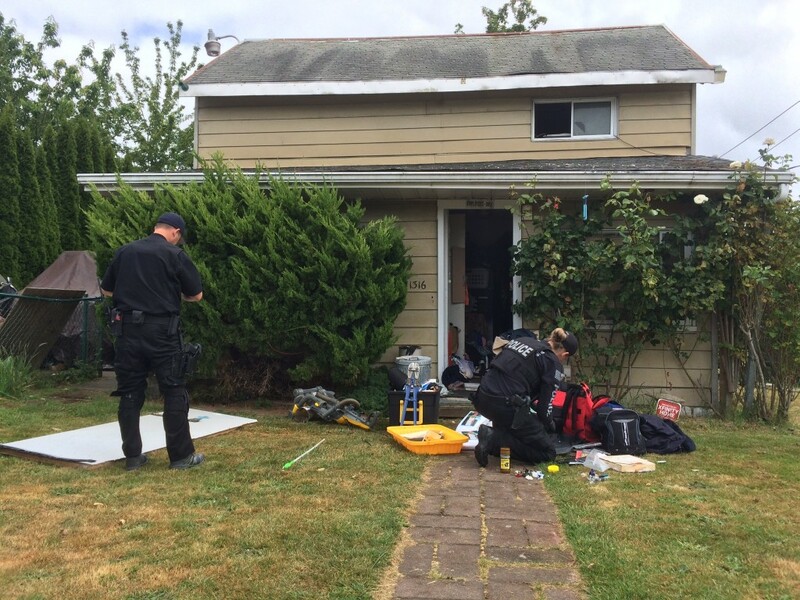 Two people have been arrested on drug charges, as officers with Bremerton’s Special Operations Group combed the property looking for evidence. A total of six people were found inside; each could face charges. As often happens with these investigations, it started with neighborhood complaints, according to Bremerton Police Sgt. Billy Renfro. There was traffic going in and out at all hours. Renfro described it as a flop house. The Special Operations Group, after developing information that earned a judge’s signature for a warrant, decided it was time to move in. “It was dirtying up the entire neighborhood,” Detective Steven Forbragd said.